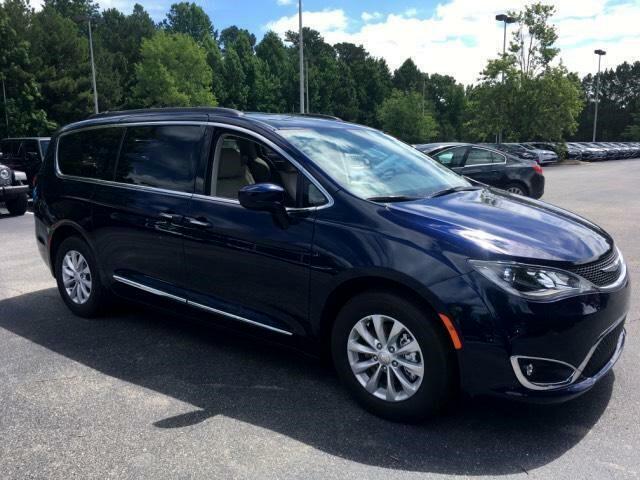 2019 Chrysler Pacifica TOURING L Lease For Only $289.00 Per Month, 36 Months, 5000.00 Miles Per Year, $0 Zero Down. 287 HP V6 with 9-speed transmission, Stow 'n Go® Seating and Storage System, Active Noise Cancellation (ANC), Power First-Row Windows with One-Touch Up/Down, Parkview® Rear Back Up Camera, Leather-Trimmed Seats, Power Lift gate, Heated First-Row Seats, Three-Zone Automatic Temperature Control, Black Roof Rails, Chrome Trim Accents. Fog Lamps, Automatic High-Beam Control Headlamps, Keyless Entry on all Doors, Passive Entry Doors, Power Sliding Doors, Sirius XM Satellite Radio. Message: Thought you might be interested in this 2019 Chrysler Pacifica.